Do you enjoy giving back to your community? 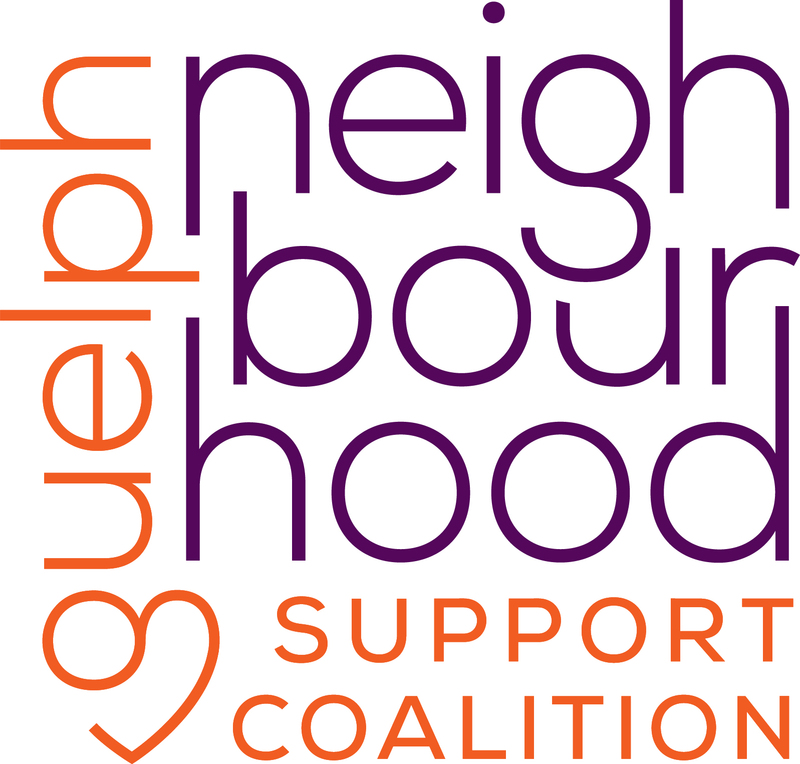 Are you looking for volunteers hours? Onward Willow Centre is looking for volunteers. 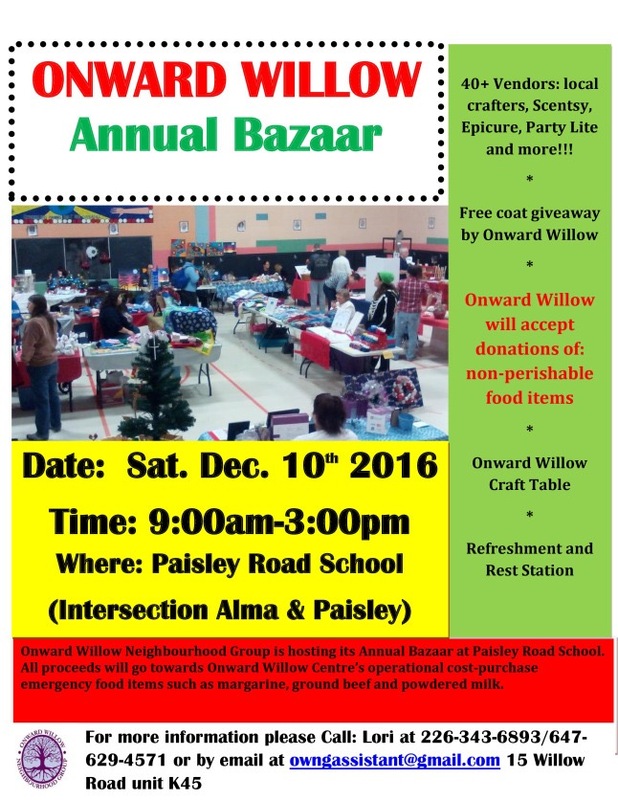 10 days till the Onward Willow Bazaar!! 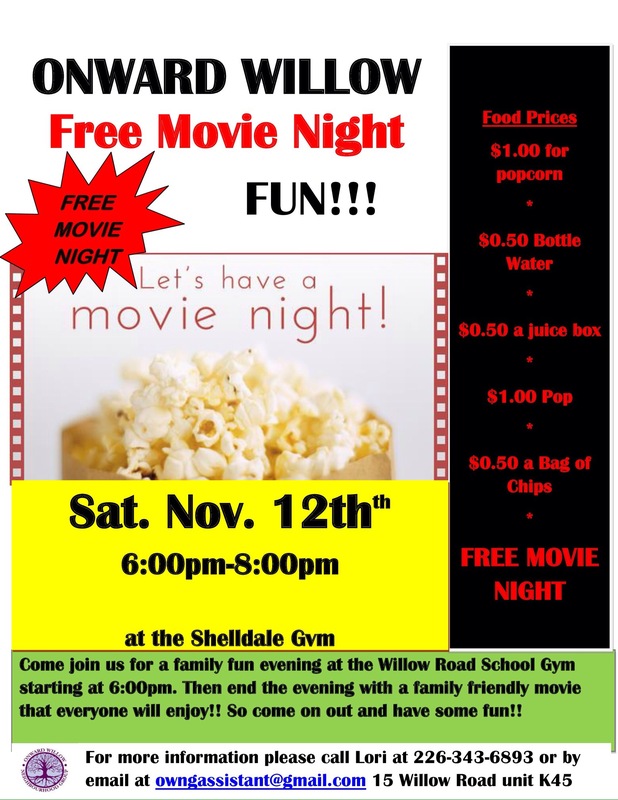 DATE:Thursday, November 17th from 5:30-7:30 p.m.
* identification for all members of the family. *For identification, you can use your driver’s license, picture health card or cheque stub from your O.D.S.P. or Ontario Works. 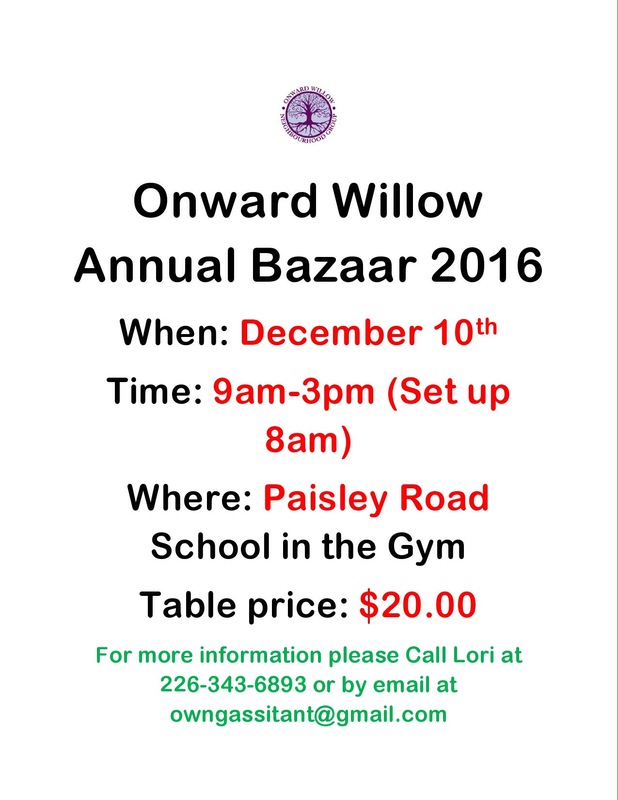 Onward Willow Annual Bazaar book your tables today!! !